‘Option B’ starting from Abingdon in Oxford to south Milton Keynes via Winslow has been selected as the preferred route for the expressway. It will run alongside the East West Rail Route. 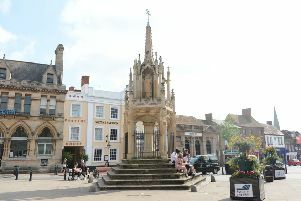 The Campaign To Protect Rural England (CPRE) Bedfordshire had earlier expressed concerns about ‘Option A’, which would have run close to Leighton Buzzard, Woburn and Woburn Sands. The expressway is set to “revolutionise” east-west connectivity between Oxford, Milton Keynes and Cambridge, which has been earmarked for major growth by the govenment, with development of up to one million new homes. A DfT spokesman said: “The expressway is projected to take up to 40 minutes off the journey between the A34 south of Oxford and the M1, so that hundreds of thousands of people will be brought within reach of high quality jobs in centres of rapid growth such as Oxford Science Park. “The preferred corridor identified today runs alongside the planned route of East West Rail, so that consumers have a variety of road and rail travel options. “This decision determines the broad area within which the road will be developed: the process of designing a specific route will now get under way, involving extensive further consultation with local people to find the best available options.